The synthetic fibre industry has found an application for it in the production of their raw material. The metal industry uses large quantities of copper sulphate as an electrolyte in copper refining, for copper coating steel wire prior to wire drawing and in various copper plating processes. The mining industry employs it as an activator in the concentration by froth flotation of lead, zinc, cobalt and gold ores. The printing trade takes it as an electrolyte in the production of electrotype and as an etching agent for process engraving. The paint industry uses it in anti-fouling paints and it plays a part in the colouring of glass. 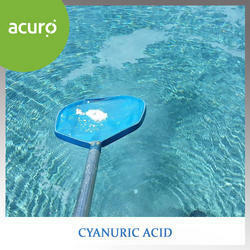 Cyanuric acid is used in bleaches and sanitizers and is a convenient lab source of cyanic acid gas. It is used in the preparation of melamine, sponge rubber, herbicides, dyes, resin, antimicrobial agents. 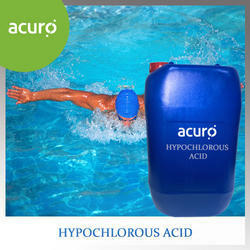 Sometimes it can also be used as a stabilizer and disinfectant in swimming pool water. Packing : Cyanuric acid is packed in 50 kg fibre drums. 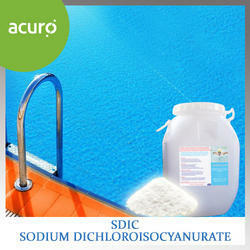 Sodium Dichloroisocyanurate is an active ingredient in dry bleaches, dishwashing compounds, scouring powders, detergent-sanitizers, and swimming pool disinfectants. Sodium Dichloroisocyanurate is used in water and sewage treatment, replacement of calcium hypochlorite. Algae growth is common when your pool has poor circulation and when the disinfectant level, or algaecide content in the water is low or neglected. Proper filtration (we recommend running filter at least 8-10 hours a day) and regular use of chemicide-50 algaecide will keep your pool free of algae. 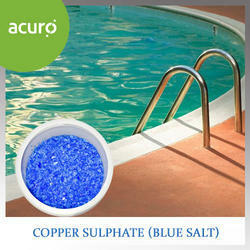 We are influential in providing superb quality assortment of Swimming Pool Algaecide to our customers. 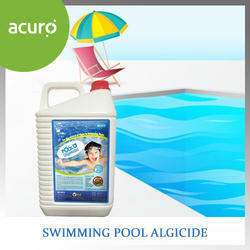 This Swimming Pool Algaecide helps in restraining formation of algae in swimming pools. This product is passed through various quality stages before delivering to the customers. · Kills all types of algae, including green and mustard algae. · Non-foaming formula will not make your pool water cloudy. · Save enough for swimming directly after treatment. · Not recommended for use in well water as staining could occur. Sodium Hypochlorite (NaOcCl) is a pale greenish liquid also known as soda bleach or liquid bleach. It is prepared by reacting dilute caustic soda solution with liquid or gaseous chlorine accompanied by cooling. Properties/Specifications pH 12 Specificgravity 1.10 to 1.12 at 200C Solubility Soluble in cold water, decomposes in hot water Available Chlorine 7% to 7.5% with excess hydroxide of 7 to 10 grams per liter. Typically our gives 6.5% available chlorine with 6% as the guaranteed minimum under storage conditions. STORAGE:Store in cool, dark place. Avoid heat, light and contamination with heavy metals and elements that alter the pH of the solution.In general, containers should be vented to avoid pressure building up due to oxygen formed during decomposition. Opaque containers help reduce such pressure buildup. Lime, an alkali, is one of the most important industrial chemicals and fulfils many roles - all of them vital. Undoubtedly there is no other material in commerce that has more diverse uses and varied functions as lime. Lime In Chemicals:- Lime is used in the production of calcium carbide, by heating lime with coke. Calcium carbide reacts with water, releasing acetylene, which is an important fuel for welding. Pollution control is rapidly expanding consumer use of lime. Lime is used in stack gas scrubbers to reduce sulfur dioxide emissions from power plants. Sulfur dioxide reacts with lime to form solid calcium sulfite. 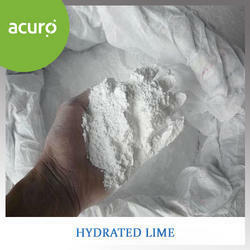 Lime is also used in the purification of citric acid. Lime In Water:- The treatment of water supplies involves the use of lime to decrease the acidity, to soften, by removing bicarbonate hardness and to clear drinking water by disinfecting it against bacteria. In industrial wastewater treatment; lime neutralizes acid wastes thereby impeding corrosion and protecting the natural environment. Lime also removes silica, manganese, fluorides, iron and other impurities. Lime is also added to sewage to remove phosphates. Lime In Swimming Pools:- Reacting lime with chlorine produces calcium hypochlorite bleaches. These bleaches are widely used as swimming pool chemicals and in paper production. 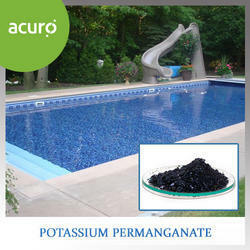 We offer a wide range of Potassium Permanganate, which is an inorganic compound with chemical formula KMnO4. It is a salt consisting of K+ and MnO4 - ions.Formerly known as permanganate of potash or Condy's crystals, it is a strong oxidizing agent. It dissolves in water to give deep purple solutions, evaporation of which leaves prismatic purplish-black glistening crystals. In this compound, manganese is in the +7 oxidation state. 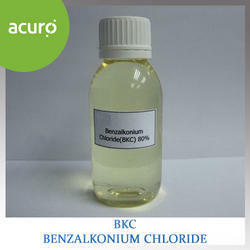 Benzalkonium Chloride (BKC) is a safe, rapid acting Bactericide, Algaecide and Fungicide. Widely used as a combination sanitizer-disinfectant for the Hospital, Livestock and Personal Hygiene sectors / Sugar and water treatment etc. 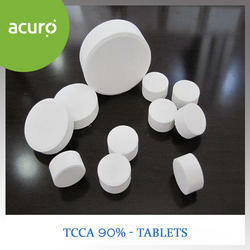 USES of Trichloroisocyanuric Acid (TCCA 90% Tablets) : swimming pool chemicals, industrial circling water treatment, strong bleaching and disinfection effects, widely used as high effective disinfectant for civil sanitation, animal husbandry and plant protection, as bleaching agent of cotton, gunny, chemical fabrics, as shrink-proof agent for woolen, battery material, organic synthesis industry and dry-bleaching agent of clothes. 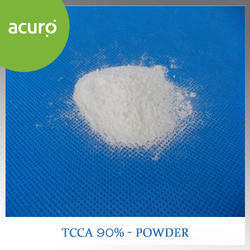 USES of Trichloroisocyanuric Acid Powder : 1.This product can be used in water treatment, swimming pool water treatment, drink water treatment and algae removing of industrial circulating water.2.It can be used in dishware disinfection, preventative disinfection of houses, hotels and public places, hygiene and diseal control in hospitals, and environment disinfection in fish, silkworm, livestock and poultry feeding places.3.Moreover, it can also be used in textile cleansing and bleaching, wool shrink resistance, paper insect resistance, and rubber chlorination, etc. trichloroisocyanuric acid is used as a chlorinating agent, disinfectant, industrial deodorant. Trichloroisocyanuric acid is used in household cleansers, such as 'bab-o' in dishwashing compounds,scouring powders, detergent-sanitizers, commercial laundry bleaches, swimming pool disinfectant, bactericide, algicide. As disfectant, it can be used in hygiene and disease control, medical treatment, livestock farming, aquiculture and plant protection, etc, such as disinfect drink water, industrial water, dishware, swimming pools, livestock, poultry, fishes and environment disinfection as well as regular and preventative contagion disinfection. It can also be used in shrink resistance, weaving and bleaching of wool, algae removing for industrial circulating water, and chlorination of rubber. It is harmlessto people, and is well accepted in both domestic and international market. SDIC can be used in the infection of silkworm breeding, livestock and fish breeding, etc. SDIC also can be used in the anti-shrinking finishing for wool, bleaching in textile industry, as algaecide for industrial recirculating water, as rubber chlorinating agent, etc. It has stable and high-efficiency performances, no any bad effects on the human body. Hypochlorous acid is a weak acid that can only exist in solution, because it is highly unstable when isolated in a pure form. There are a number of uses for this chemical, most of which take advantage of its strong oxidating properties, which allow it to be used as a bleach and disinfectant, among many other things.The chemical formula for this compound is HClO. It is classically obtained by dissolving chlorine in water, although it can also be obtained by reacting chlorine with mercury(II) oxide to create a pure form, which is greenish-yellow in color. The "chlorine bleach" sold for disinfectant and laundering contains hypochlorous acid, and the systems used to chlorinate many water supplies rely on it to kill unwanted microorganisms in the water, with the acid creating conditions that make life unsustainable for these microbial invaders. 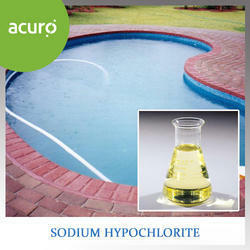 Calcium Hypochlorite is effective. Calcium Hypochlorite is a dry, white, free-flowing, granular material. In solution with water, it is used as a general disinfectant to destroy bacteria, algae, fungi and other microorganisms through the process of chlorination. Chlorination is recognized and widely accepted as the standard method of disinfecting drinking water and as a sanitizer in a variety of food processing, commercial,institutional and domestic applications. 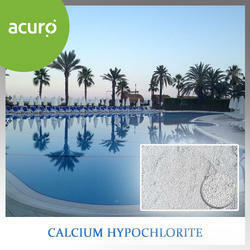 Calcium Hypochlorite is efficient. Calcium Hypochlorite is efficient, easy to use and handle. Solutions can be prepared quickly for on the spot use from the economical drums and convenient pails and jugs provided. All calcium hypochlorite contains a minimum of 65% available chlorine and these products may be used for the applications described. Calcium Hypochlorite is economical. Calcium Hypochlorite does the job without waste and without the need for elaborate equipment. Stored in clean, dry, sealedcontainers, in a cool dry place it remains chemically stable and retains a high available chlorine content for a long period. 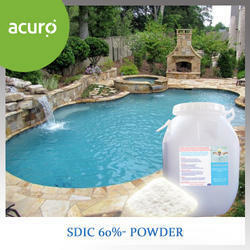 As disinfectant, SDIC can be used in hygiene and disease control, medical treatment, livestock farming, agriculture and plant protection, etc, such as disinfect drink water, industrial water, dishware, swimming pools, livestock, poultry, fishes and environment disinfection as well as regular and preventative contagion disinfection. SDIC can also be used in shrink resistance, weaving and bleaching of wool, algae removing for industrial circulating water and chlorination of rubber. SDIC is harmless to people, and is well accepted in both domestic and international market. Keep the container closed when not in use. Store in cool, dry and well-ventilated area, away from fire and heat. Use dry, clean clothing when handling TCCA. Avoid breathing dust, and do not bring in contact with eyes or skin. Wear rubber or plastic gloves and safety glasses. 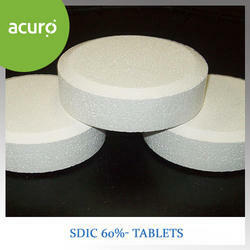 SDIC is available in 50 kg HDPE drums (for powder, granular and tablets). 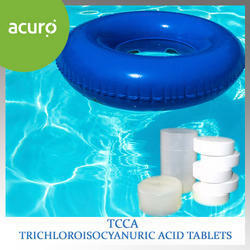 Trichloroisocyanuric Acid chemical is used as a disinfecting agent in swimming pools and fountain water bodies and helps in achieving sparkling clean and clear water. 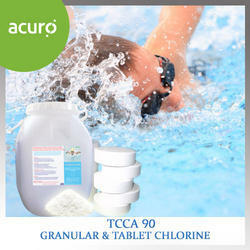 Our TCCA-90 provides long-term effects in keeping your swimming pools free from bacteria and algae. With no side-effects on skin, hair and eye etc. Stable in storage - long shelf life. Alum is a flocculant water clarifier that drops unwanted debris and phosphates to the bottom of the pool to be vacuumed later. This is the best product to use when water is saturated with heavy metals. 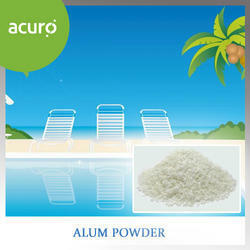 Alum Powder is used to flocculate exceptionally cloudy or muddy water in swimming pools as well as dead algae that remains in suspension causing a "Pea Soup" type appearance. Once the suspended matter settles, a manual vacuum to "waste" is required.